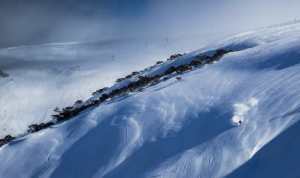 Rusutsu is something of an enigma in the snow world. 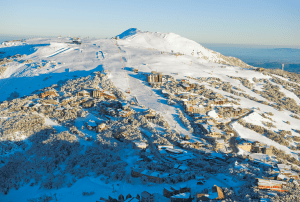 Born of the 1980’s Japan ski resort boom, the expansive resort, spread across two distinct peaks, boasts two large, purpose-built hotels at its base and not much else. 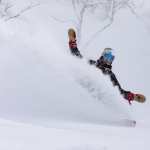 Inside one, the Rusutsu Resort Hotel and Convention centre, for example, exists a giant robotic talking tree and a full-sized carousel… But the real reason to visit is its incredible snow and playful tree-skiing centric terrain. 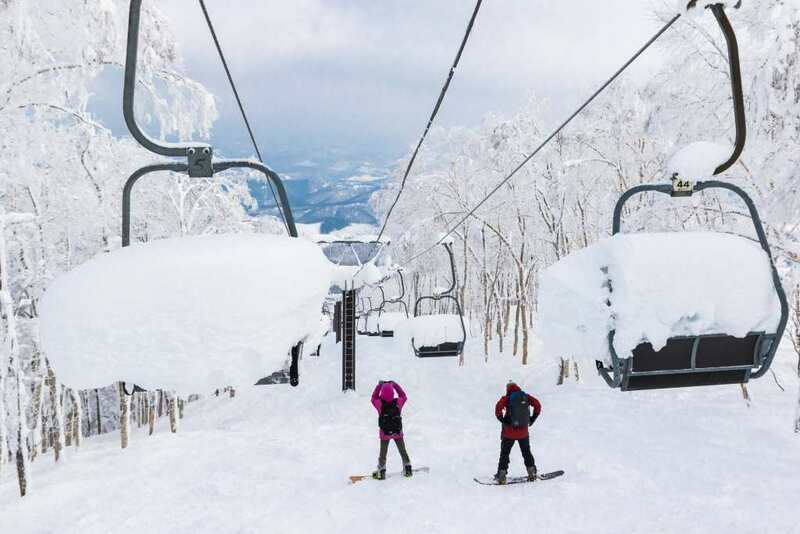 Less than a 40-minute bus ride from Niseko, Rusutsu attracts the same quantities of deep, dry powder, but doesn’t attract the same kind of crowds. Unusual for a lot of Japanese resorts, are Rusutsu’s large amount of hooded quad chair lifts, which are invaluable on cold and windy days. Whilst on mountain food is limited it’s cheap in comparison to Niseko. 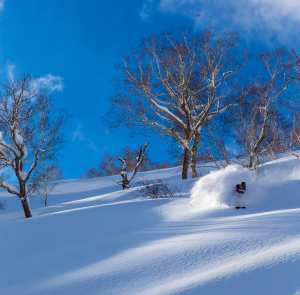 Rusutsu is a powder mecca of perfectly gladed tree runs. It’s one of our favourite Japanese resorts and truly has something for everyone. 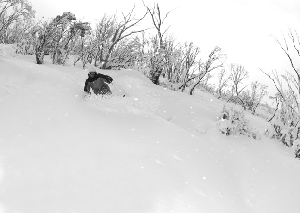 During December we’ve been treated to fresh tracks all day at Rusutsu just off the chairlift and being 30-40mins from Niseko it tends to attract those that know what they’re doing when it comes to riding Japow. 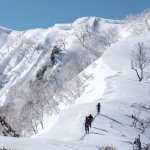 During peak season we suggest timing your trip there during a weekday as it can get somewhat busier over the weekend with local Japanese skiers coming up from Sapporo for the day. That said, we’ve never waited longer than 5-10mins to get on a chair and there’s always some pow turns to be had in the trees even if it hasn’t snowed in a few days (an unlikely event). 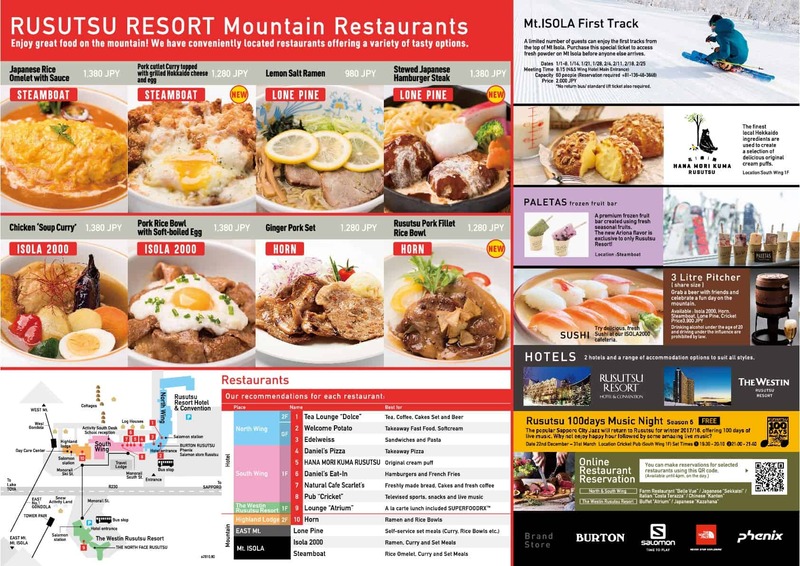 If residing in Niseko it’s also worth checking the Rusutsu website to confirm lifts are operating in the event of high winds and even calling ahead – although you may have some difficulty in getting an answer in English! Getting to Rusutsu is simple. Just a 90-minute drive southwest from New Chitose Airport and JR Sapporo Train station, there are a number of shuttle bus services available. Rusutsu is also only 30-40mins by car from Niseko making it the perfect distance for a day trip to escape the Niseko’s crowd. Rusutsu is an odd resort in that there’s no ski town as such, rather just two large, self-sufficient hotels. 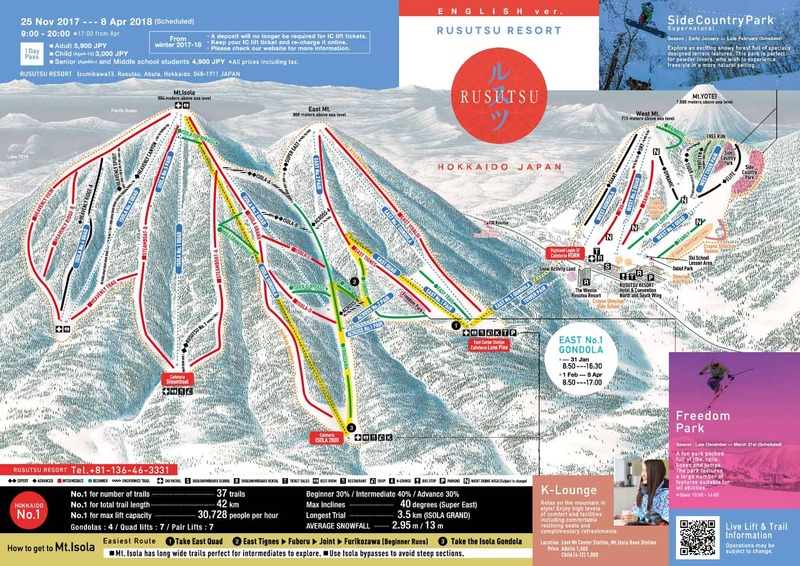 The Rusutsu Resort Hotel is ski-in-ski-out and has a number of facilities making it very family friendly. The other accommodation is the Westin Rusutsu Hotel a large, rather fancy hotel whose 23 floors are hard to miss as you drive up to the resort. 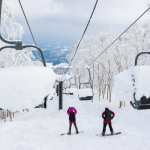 The Westin boasts some 210 spacious guest rooms and all accommodations are bi-level rooms measuring 76m2 or larger.However, you’ll find the majority of skiers and boarders at Rusutsu will be making day trips from nearby Niseko. As far as après/nightlife goes, it doesn’t go much further than buying a few beers or Strongs from Lawson’s or 7/11. 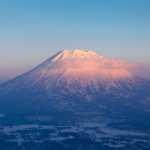 Of course, the nightlife hub is Niseko, so this might not be a bad thing depending on what you’re after! 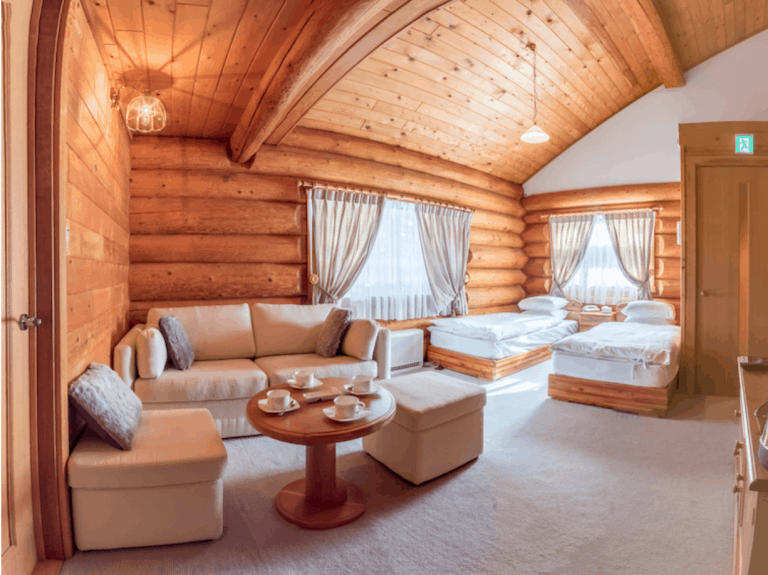 Rusutsu’s two hotels are entirely self-sufficient and it’s not inconceivable to spend an entire day within one checking out their admittedly peculiar offerings. I.e. the talking tree, giant carousel or the life-sized singing robot bear band… Of course, they also offer gymnasiums, public baths, aromatherapy, expansive shopping and even an indoor wave pool. Reindeers can also be pet outside… beneath the giant amusement park that operates in the summertime.